You are invited to join Quincy Preserves “Behind the Garden Gate” on Saturday, June 25 from 9 a.m. to 1 p.m. Attendees will enjoy the little pieces of heaven found in so many residential yards in Quincy. The 2016 tour is being held in conjunction with the Midsummer Arts Faire – www.artsfaire.org. 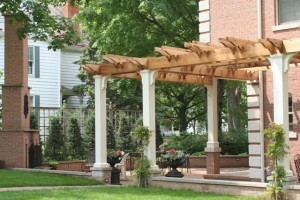 Gourmet pastries and refreshments will be available in the garden at 1680 Maine during the tour. Advance ticket sales are now closed. Tickets are $12 the day of the tour and may be purchased at any of the garden locations. 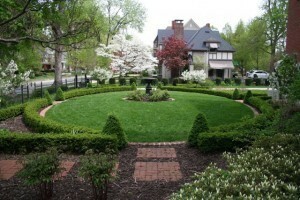 The addresses of the gardens are 205 South 16th, 307 South 16th, 327 South 16th, 1801 Maine, 1680 Maine and 1440 Kentucky. This is an ideal self-guided walking tour as the gardens are within a 4 square block area. Proceeds from the tour will benefit the Quincy Preserves Scholarship Fund and Façade Program. Most of the gardens are located in the backyards and are not visible to the public which creates a “secret garden” tour experience. This up close and personal tour features a wide variety of plants. This year’s tour will feature exquisite pastries and beverages for sale at 1680 Maine Street, created by Sweet Dreams Bakery’s Cordon Blue School trained pastry chef. 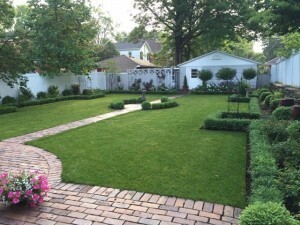 Another new feature will be ‘Ask the Pro” featuring University of Illinois Extension personnel at 1440 Kentucky, Carol Rakers of Creative Garden Designs at 1680 Maine, and Brent Bergman of Bergman Landscape Architecture at 307 South 16th. Many gardens have water elements that provide the soothing noise that also gives a cooling effect on a summer afternoon. Music and wind chimes are featured in other gardens. A few of the gardens are professionally planned and maintained while others are the owner’s creations. Some homes have beautiful decks, others have patios that provide a tranquil outdoor space during the spring, summer and fall. Patio furniture, lighting and decorations give these outdoor living areas an inviting and peaceful appeal perfect for entertaining or just relaxing on a beautiful day. Make plans to visit these beautiful treasures of Quincy! Those purchasing tickets with a credit/debit card will need to begin the tour at 1680 Maine. For additional information please contact Deb Davis at 217-223-3306.